In search of exhilaration, reflection or fulfilment? Lonely Planet reveals the best destinations to connect with your emotions. 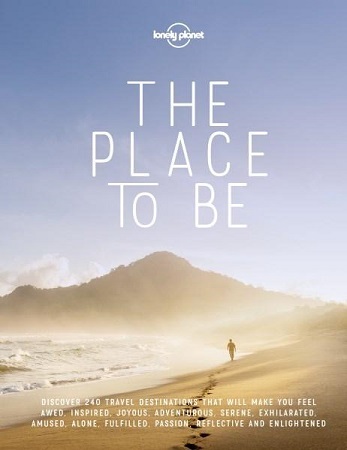 Discover 240 travel destinations that will make you feel awed, inspired, joyous, adventurous, serene, exhilarated, amused, alone, fulfilled, passion, reflective and enlightened, in Lonely Planet’s The Place To Be. Published in December 2017, Lonely Planet’s The Place To Be tell us exactly where to go in search of experiencing a particular emotion. Whether it’s euphoria or serenity, awe or enlightenment, each chapter in this unique book explores a single feeling, with 20 travel destinations and experiences for each emotion and state of mind. Places range from wild and natural spaces, to modern and ancient cities, with Lonely Planet’s expert travel writers explaining when to go and how to get there, and the best routes to discovering these feelings. Cradle Mountain – Lake St Clair National Park, Tasmania (Adventure). Drawing on science, art and literature for the key to unlocking each emotion, this book is a reminder of how powerful new places can be for mental and physical wellbeing, and inspire readers to think about their next journey in a whole new light. Be awed by spectacular natural phenomena like the California Redwoods; experience a joyful boost with cat cafes and chocolate indulgences; seek serenity on The Cyclades; find calm oases in the heart of bustling cities; and seek enlightenment through art and pilgrimage. *Prices are in Australian dollars and are subject to change by the retailer.